I'm in Sweden for the weekend, visiting my lovely in-laws and their kids and their cats. Follow my adventures on Instagram (@lauragommans)! The first dress is from Dahlia and the second one is from Olive. I hope you're having a lovely time! I really love your blue gingham dress there. Great snaps! I love your dress in the first shot!! Lovely! 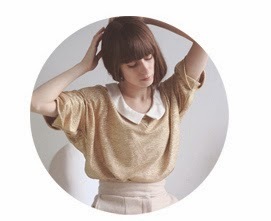 I've just discovered your blog and I'm absolutely in love with your style, I feel so identified with it. I'm form Barcelona and I loved your pictures of the city and all the outfits you wore during your stay! I'm following you now, I don't want to miss any of your updates!! The first two dresses are so sweet. All the pictures are really nice. great shots! love the cake! Beautiful pictures. It's nice seeing other bloggers' funner sides.